I’d like to thank everyone for their comments on my last post! I don’t have time to reply to all of them, but it’s good to get positive as well as constructive feedback. I also enjoyed reading people’s trash picking related stories. There ended up being a lot more comments than I ever would have expected (I’m pretty sure we beat the record for the most on a single blog post), and that certainly helped to remind me that a lot of people care about garbage, history, and reducing waste. I’ve taken some days off this week to allow my brain to reset. It’s already been hard to resist the allure of garbage, which means that I should be good to go soon enough. Otherwise, I plan on continuing with the full-time picking, perhaps switching up my schedule so that I go out more often in the mornings. I think that will make me less intimidating to concerned citizens. However, if I see an opportunity for a cool job I may take it. Sometimes I miss working with other people and being part of a group. As things are now I do most of my work alone, and that can feel pretty isolating. But I sure won’t be quitting my reasonably well paid garbage work to become a dishwasher or anything like that, and I’ll definitely continue picking and posting even if I do happen to find a different line of work. Anyways, here’s a list of recent sales. Or, as they can otherwise be referred to, things that probably would have been destroyed if not for my trash picking. 1. Yard sale: 400$. Thankfully the weather cooperated and offered me one more nice weekend day for a yard sale. There’s now snow on the ground, so it’s likely that this sale was the last of the year, though I might end up selling some stuff at an indoor market event sometime in December. This year I organized fewer sales, but in general made more money per sale. It’s a strategy I imagine I’ll employ again next year. 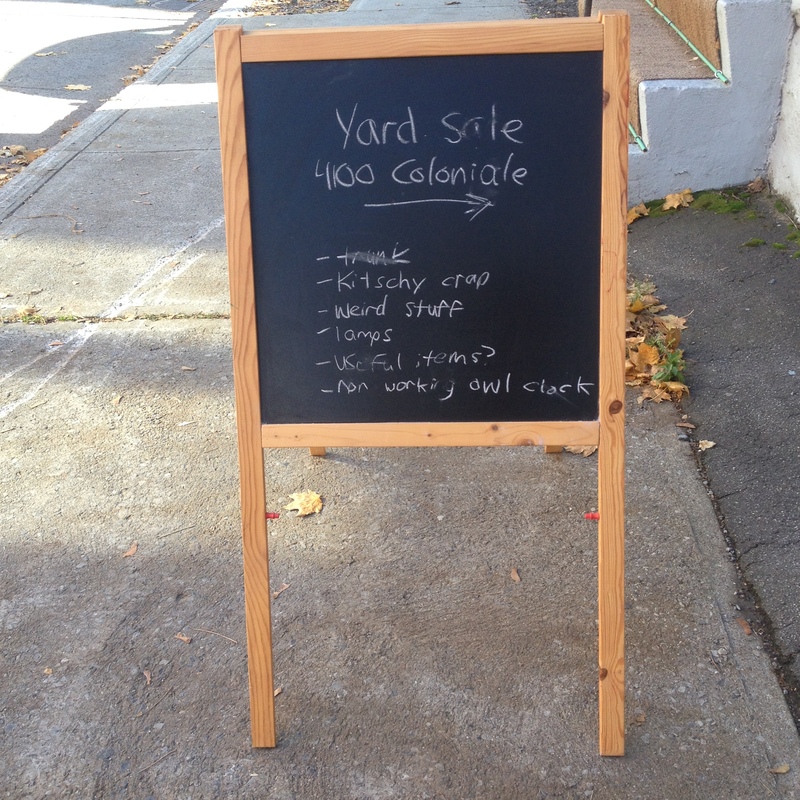 Yard sales are hard work, and doing more of them doesn’t seem to actually result in more money. My advertising skills got a lot better as the year went on, basically because I found this sandwich board in the trash. I used it for my last two sales and they were among my most successful of the year. In fact, I think the 400$ from this sale might have made it my most profitable ever. It seems obvious now that having a good sign on a busy intersection would help, to the point where I probably should have just bought one earlier in life. Oh well! 2. 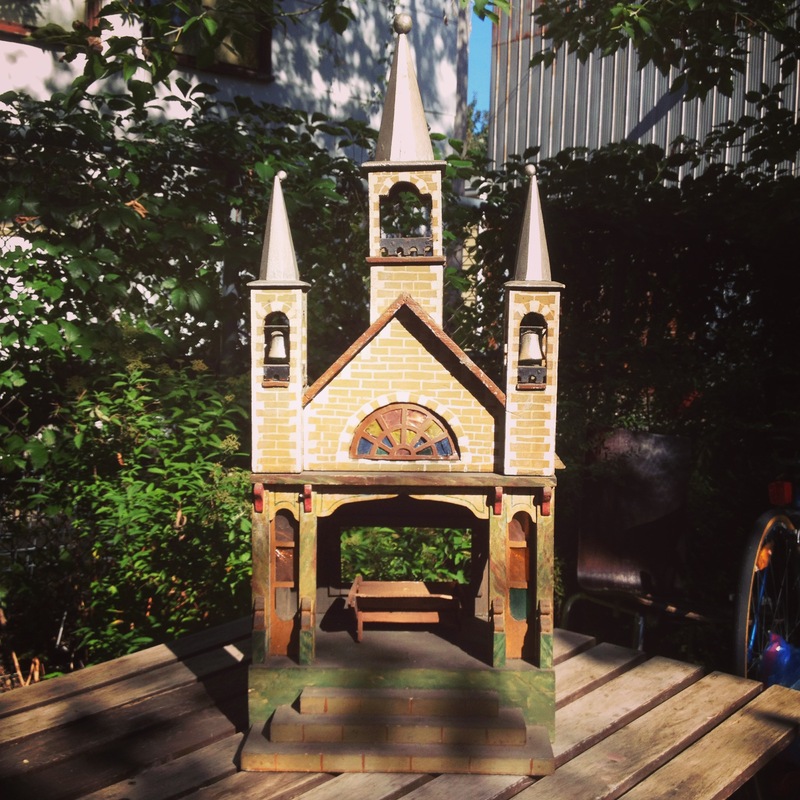 Vintage hand-made church / creche: On Kijiji for 40$. I always liked this thing. If I had a bigger place I might have used it as a decoration but alas I don’t have anywhere to put a 2′ tall church. I’m guessing it was made in the 50s or 60s. It was definitely some kind of nativity scene despite the fact that Jesus wasn’t born in a church. It took a while to sell, but the guy who bought it seemed to like it a lot. Found not far from my last place in the Plateau. 3. Anime DVDs: 3 different titles for a total of 75$. I’m starting to run low on anime DVDs. Once they’re all gone maybe I’ll look back and figure out how much I earned from the collection. I’d guess that it’s close to 1000$, making it a very good find. Found last fall in the Plateau. 4. 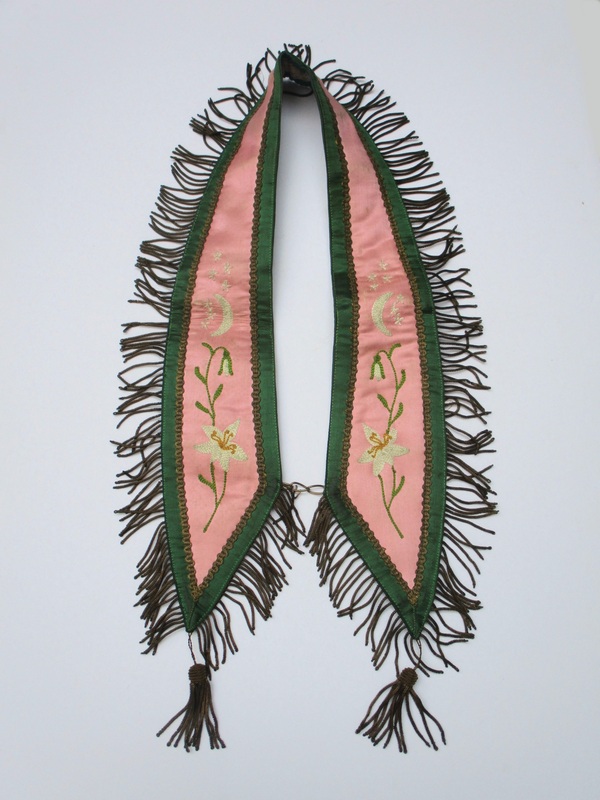 Vintage Oldfellows sash: On eBay for 25$. This went to a buyer in Australia. Found in Westmount last summer. 5. 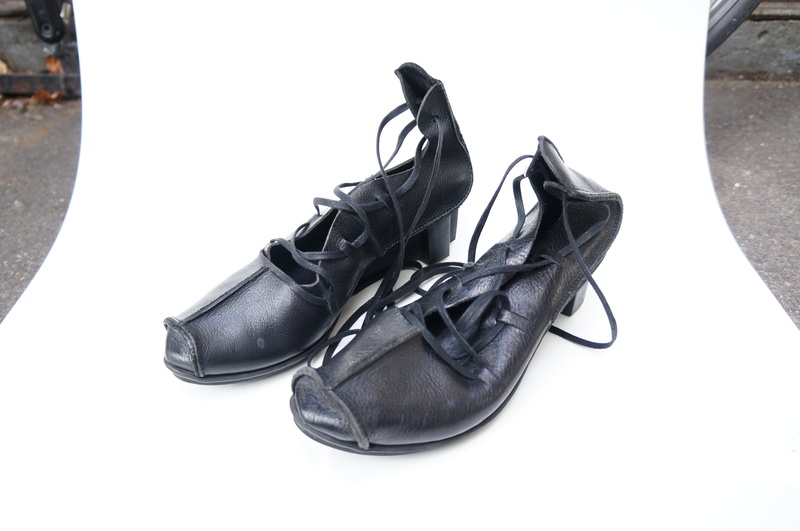 Trippen heels: On eBay for 175$. I consider myself pretty good at recognizing when something has value. However, when it comes to clothes and shoes I know very little, and to be honest find the whole category intimidating. I don’t feel confident about sizing (when it’s off, you’re getting a return), I’m not good at recognizing what people actually want to buy, and I don’t have a good setup for taking photos, though this is more of a problem for clothes than shoes. In the end, I just don’t understand fashion besides what looks good on me personally (and sometimes not even that). However, I seem to have gotten lucky with these Trippen heels. I found them in January, and threw them in the car because they were leather and looked to be in good condition. They came from a rich neighbourhood, so I thought it was slightly more likely that they were designer and expensive. As it turns out Trippen is a fairly desirable designer brand, and once I actually listed them (about eight months after I found them) they sold within a week for a very nice price. I guess shoes aren’t really so bad. At least they’re easy to take photos of. Clothes though, I can’t see myself getting into that market anytime soon. 6. 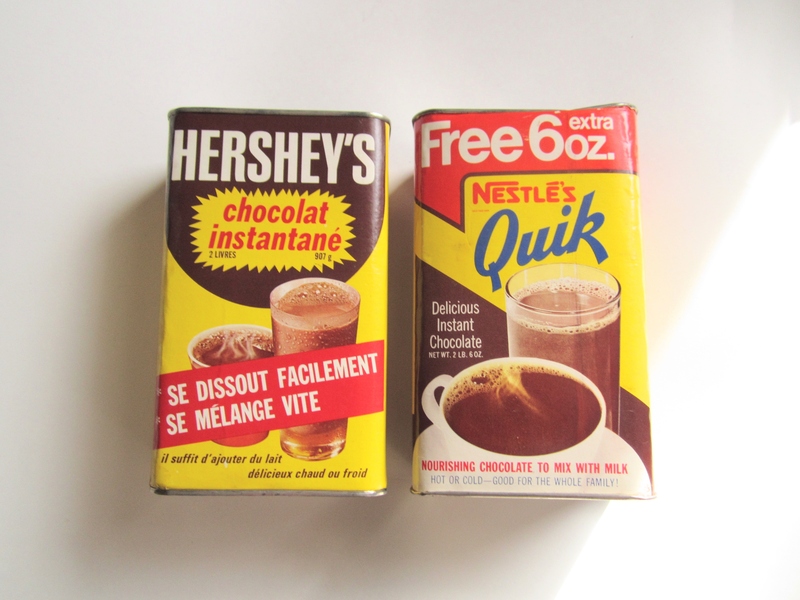 Unopened vintage 1960s can of Nestle Quik: On eBay for 100$. I found these cans way back in February, and one of you mentioned that sometimes these old tins sell for pretty good money. 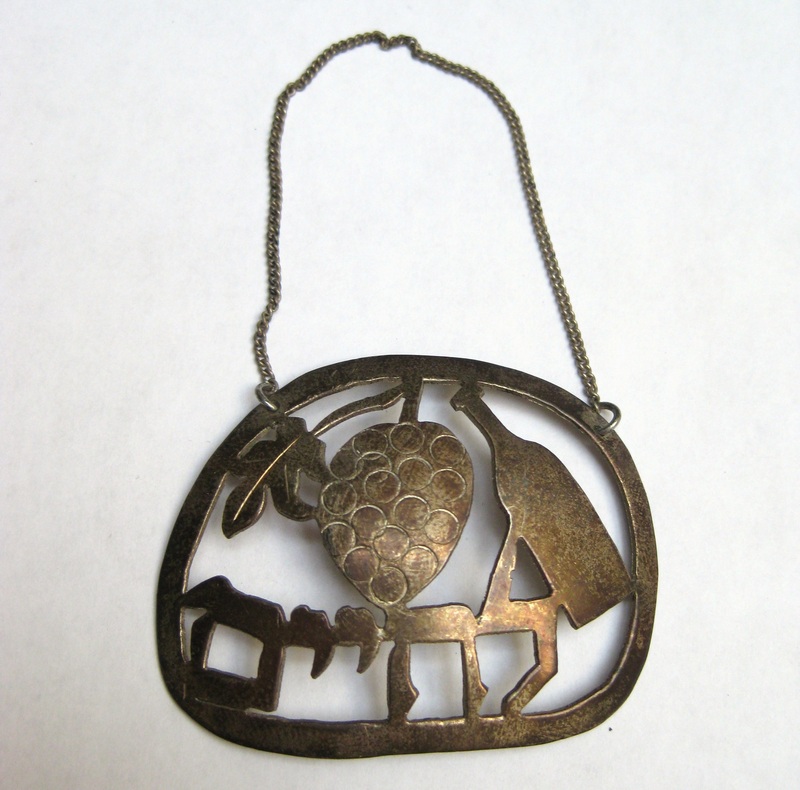 I did some research and found one that sold at auction for almost 700 CAD$ which really surprised me. My can wasn’t quite as old as that one, and the “free 6oz” thing probably detracts from the value a bit given that it’s not the classic design, but it was still very cool and I decided to list my Quik tin for a ridiculous price (I think 500$ to start, and then I lowered it to 300$ at some point). I didn’t really expect it to sell for that much but I figured I might as well try. I mostly forgot about it until I got an email recently from someone offering me 100$. I figured that was a pretty good deal – it was still a lot more than I ever would have expected to make selling ancient, long expired chocolate powder. Now that this can is gone, maybe it’s time to list the other one. Especially with Christmas coming. I actually like collecting old food tins, especially stuff that was never opened, but I’m too broke to justify not making three figures when I know it’s possible. Found on Beaconsfield road in NDG. 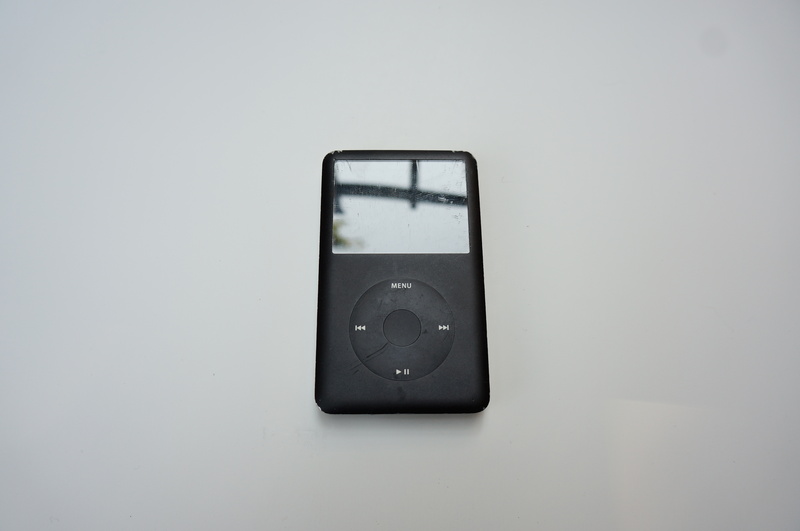 7. iPod Classic 80gb: On eBay for 100$. This was the most valuable of the many iPods I found in the Plateau this year. 9. 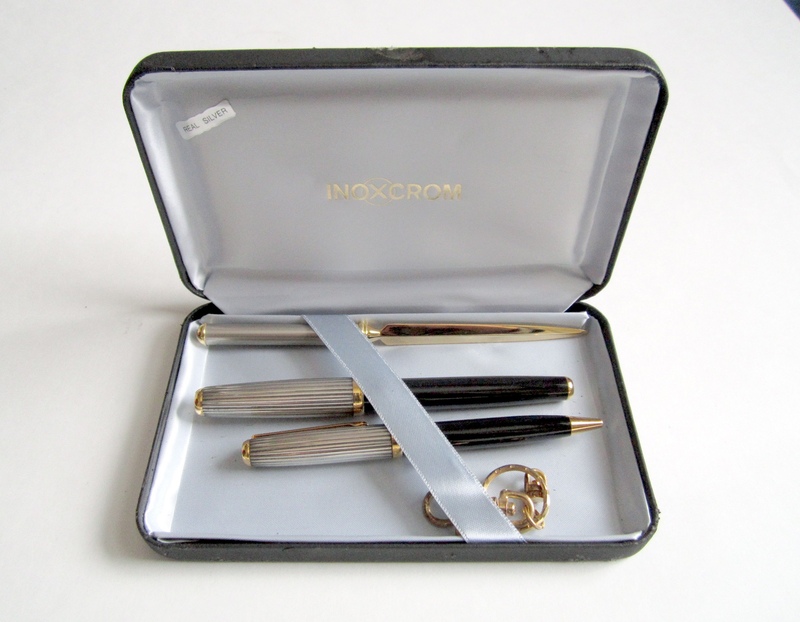 Inoxcrom sterling silver pen set: On eBay for 120$. Found this February. 10. 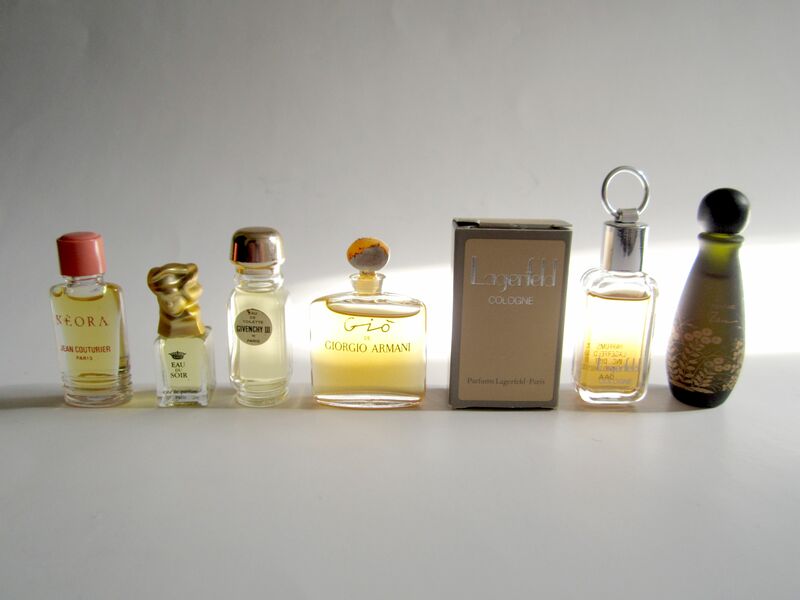 Collection of miniature perfumes: On eBay for 35$. I’ll probably list another lot of miniatures soon. I could earn more selling them individually, but doing that takes a lot more time and effort. 11. 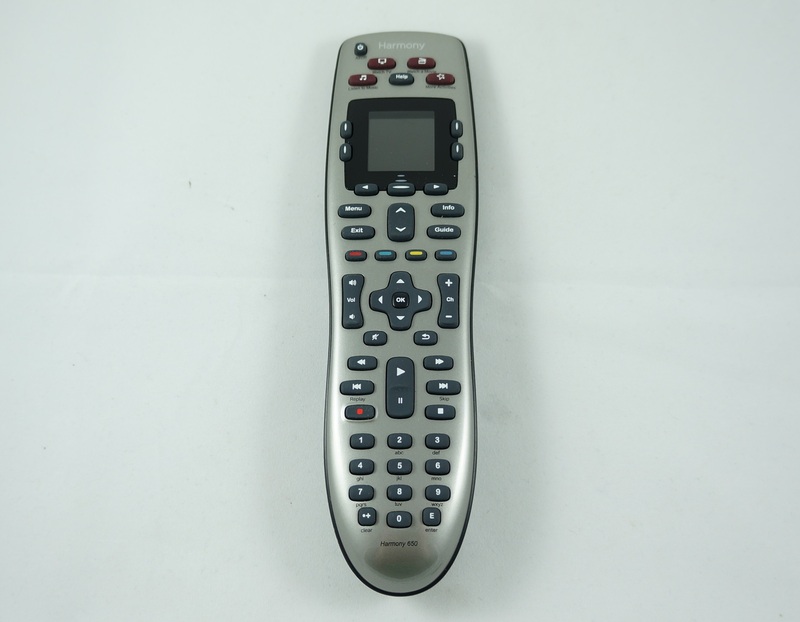 Logitech Harmony 650 universal remote: On eBay for 35$. This thing sold really quickly. Found a few weeks ago in Outremont. 12. 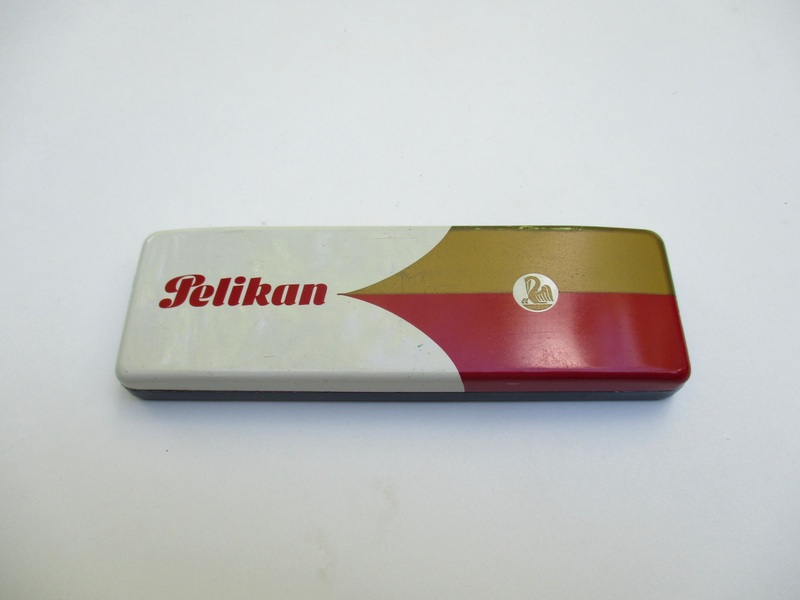 Vintage Pelikan fountain pen box: On eBay for 19$. Found last year in Hampstead. 13. Lot of Jewish pins: On eBay for 13$. I had these listed for a lonngggg time. I’m just glad they’re gone. 14. Vintage mother of pearl compact: To a reader on Etsy for 26$. 15. Finder’s fee: 100$. I guess this counts as income! 15. Perfumes: To a reader for 400$. 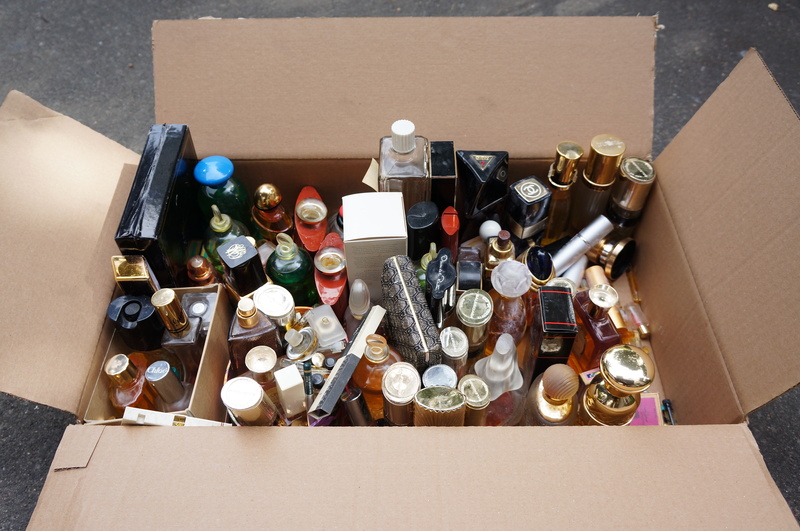 This included all the Guerlains, most of the Chanels and some others. I still have lots to list! This junked perfume was easily one of my best finds of the year. Total: 1660$, 19484$ since the new year. I’ll need a good Christmas season if I want to reach my goal of 24k. Yes, you and your work are clearly well appreciated. Sometimes you need to take a little break to assess and regroup. I have been doing what you do since 2008,but confine myself to mostly four or five boroughs.I do not write a blog about it and I do what you do ,but on a smaller scale.I make enough money to make it worthwhile.The bottles and cans make me a fair bit of money.The knick-knacks,fancy utensils and books that I rescue I often keep for myself.I have been able to sell a lot of working appliances that I find for some money too. (I do not keep them if I have something similar at home).Keep going.During the cold weather,there are fewer neighborhood residents scavenging so you will have less competition..
Not a regular picker but yesterday I did score two pumpkins and a cushaw that someone had put out on a pile of yard debris. All were in good condition. Free food for the family and chickens. The cushaw alone yielded 9 cups of cooked mashed squash for the freezer and was the subject of one nice watercolor in my sketchbook. Keep going,young man.You should be very proud of what you are doing.With every post you are picking up plenty of new subscribers.Good luck with finding more treasures in the coming weeks. My bf and I have been garbage picking for a couple of years. We are at the point now that we have two garages filled with stuff and all sorts of stuff laying around everywhere in our home. We will be opening a vintage and thrift store in the spring in an excellent location and the rent is cheap. We have been doing markets for the past few years selling what we find and have made good money selling our garbage junk. It’s truly a great hobby to have and it’s been a bonding experience for us. The quality of the stuff we find is amazing and we’re truly excited for the store we will open up early next year! Good luck to you!